The most updated program, the most prefered one I believe as well, has the most options, and the easiest to use interface amongst all other programs (well, atleast in my opinion) and rarely fails on copying a movie. Settings Step - Make Sure your settings are identical to the ones in the image below. 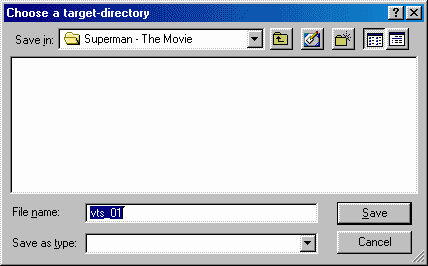 Step 1 - Press on the small browser button under the Target, and Choose a Target directory that the movie files will be placed. 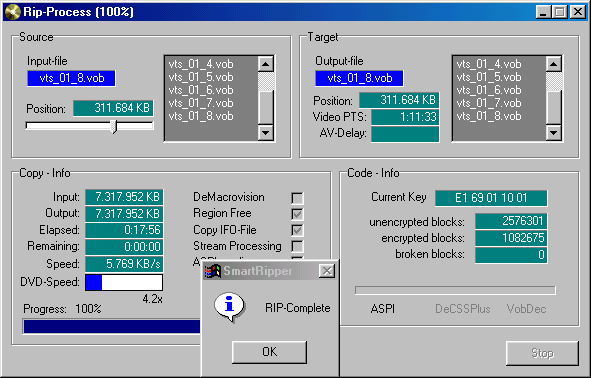 Step 2 - After you succesfuly selected a Target Direcory, the "Start " button will appear, from the "Rip-Method" press the "Movie " (2a) and then press the "Start" button, however if you are planning on using a program such as FlaskMPEG or any other that has it's own IFO handling, then you better use the "Files" mode instead (2b), or if you are going to do a DVD to DVDR, then you better use the "Backup" method. 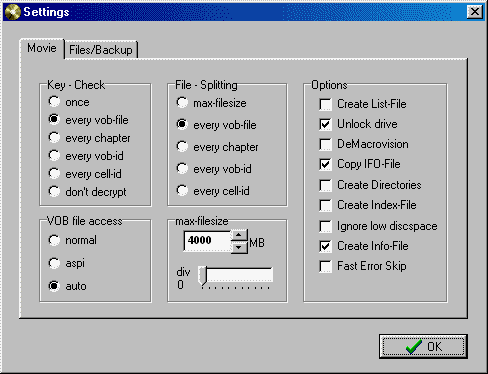 Step 3 - As soon as you press the Start button, the copying will begin, with alot of details regarding the time, Encryption and Speed. Next - FrameServing & Encoding or - Author to DVD Media!